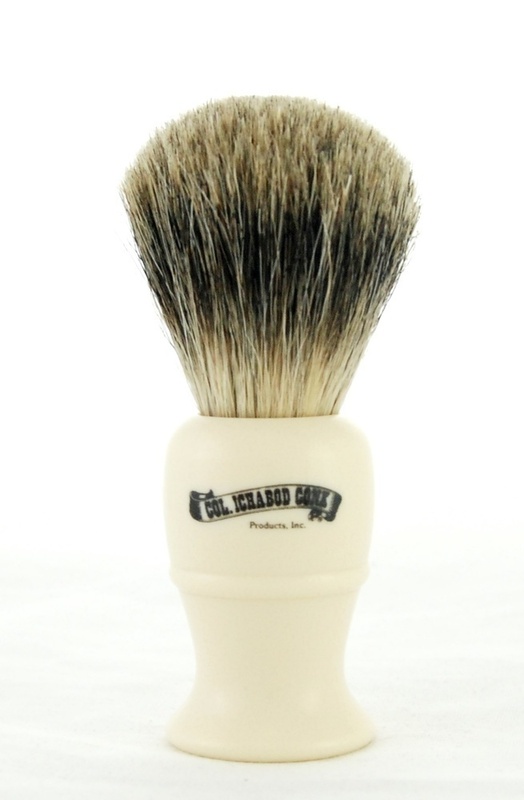 This classic style best badger shave brush hasn't changed in decades. it's lathe turned cream colored handle fits your hand like a glove. The bristles are best badger which are the finer & more pliable hairs from the badger's coat. They caress your skin while working up rich lather in no time. The head of the brush is shaped not trimmed. Bristle material: Best badger hair.